I’ve always wanted to visit this Italian city and all I can say is it didn’t disappoint. This has been one of the shortest breaks I had but it can be done in one day. Flights: I flew with Ryanair from Dublin. Flights leave Friday evening and come back Sunday morning meaning perfect time without taking any work off time (half day if you work regular hours). Transport: I flew into Ciampiano airport and the best thing to do is get a bus ticket from Ryanair. 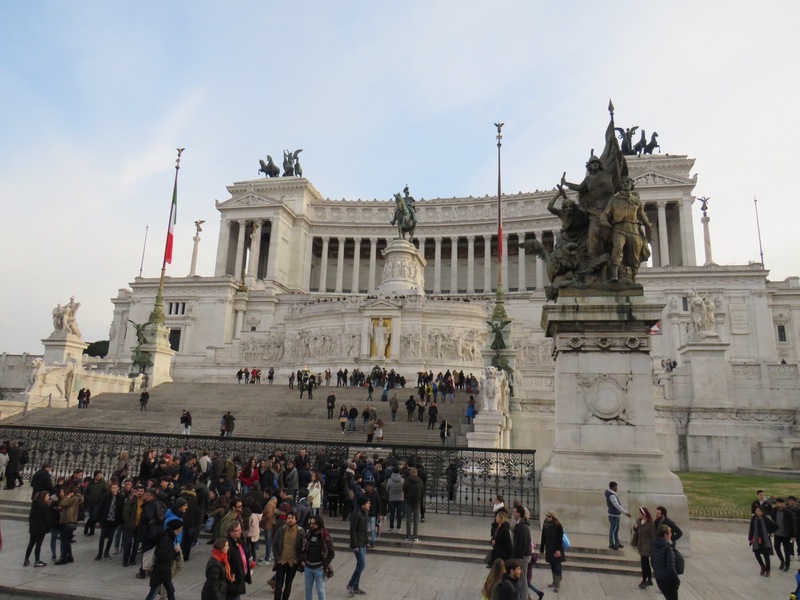 The shuttle bus is €8 return and drops you straight in Rome Termini – the bus and train station. From there you can get to your hotel. There are plenty of taxis available but be prepared to pay a pretty penny. You can also abail of uber which I found extremely handy when getting around late at night. Accommodation: The reason I can travel so much is because I stay in reasonably priced places. Sometime they can be hit and miss. Well not in Rome! I searched online for somewhere close to the Vatican as that’s where I was beginning my Roman tour. I managed to find a 4 star that was on offer. Roughly €40 per night but then there was an added city tax (common in European cities) for €24 pp. The Orange Hotel was everything and more. When I checked in they upgraded me to a suite. And in the room at the end of the bed was a bath. I always think of Ciara Knightly and her Shoreditch home. I remember seeing her bedroom (in a magazine) and there was a great Victorian bath in the bedroom. Quirky or what! So if you plan on seeing the Vatican when it’s quieter, in the mornings, the Orange Hotel is 500metres from St.Peters. Food: Agh where to start! 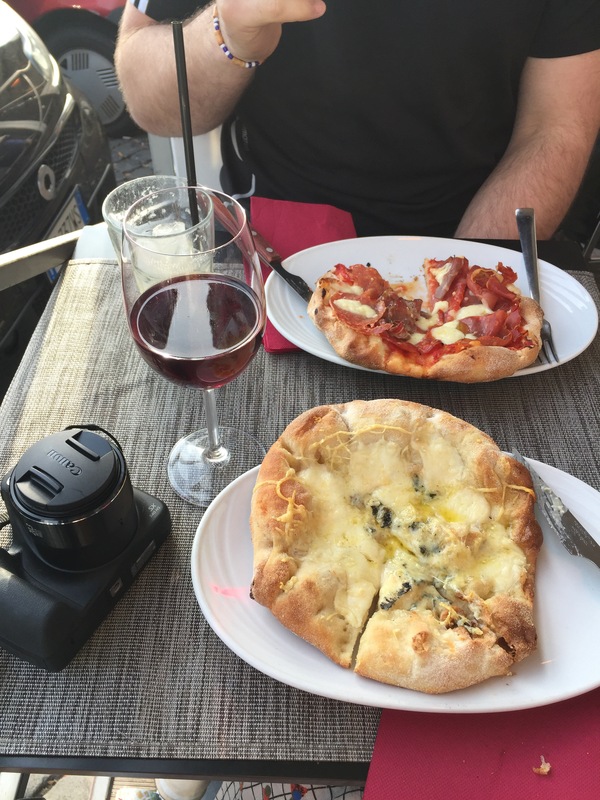 The food in Rome is just delicious. Pizza and pasta galore and who doesn’t love them both! The first night I stayed close to my hotel and one place did an offer of a main course and an alcoholic drink for just €12. These offers are available all over Rome. I went for fresh cheesy pasta and it was divine. I’ll never cook pasta myself again! Our hotel provided a substantial breakfast but there are cafes dotted at every second building. If there’s one thing that will never happen you in Rome, it’s going hungry! 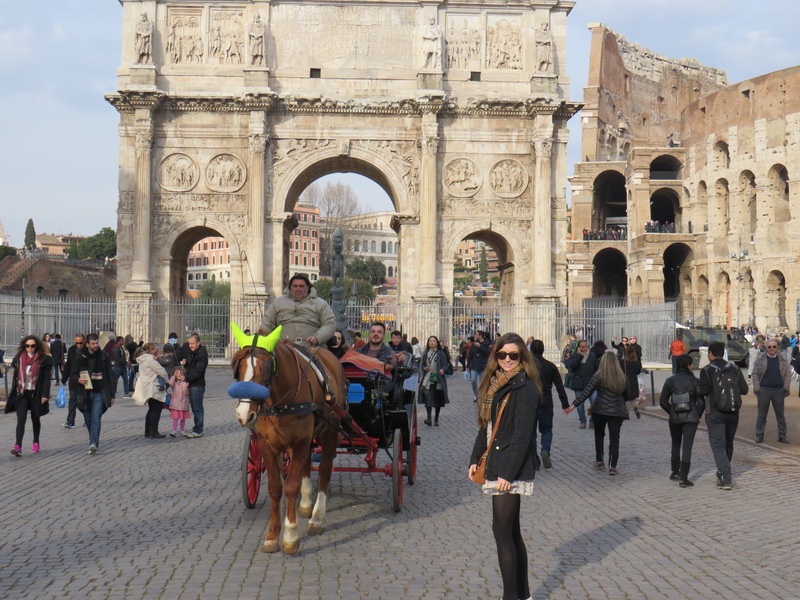 As Saturday progressed,bu made it to the Colosseum by lunchtime and saw restaurants around it. There was no doubt in my mind but I was having lunch here. And if that meant paying extra then I was willing to pay. The restaurant did a range of pizzas for just €8.50. They were medium sized, freshly made and just perfect for lunch. I also had sneaky glass of red which was €6. Alcohol can be a little pricey in places. 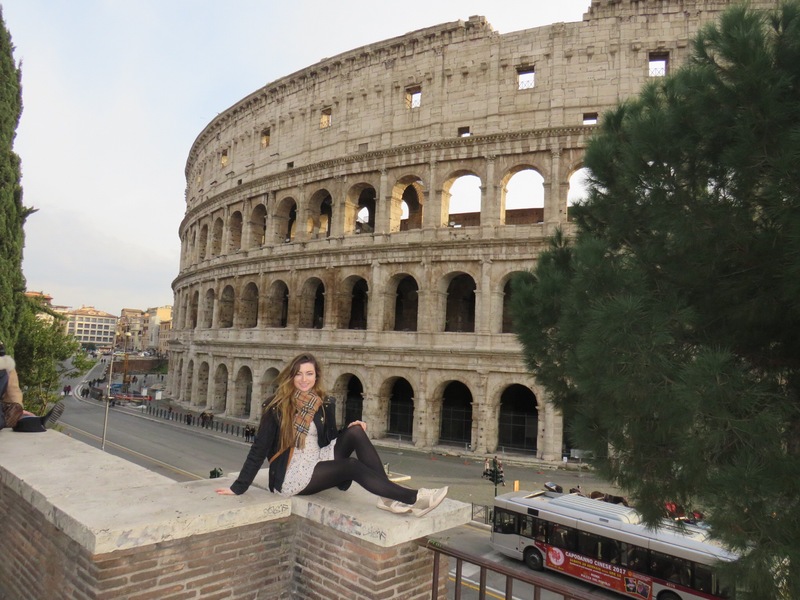 All in all it was a reasonably priced lunch overlooking the colosseum. As nighttime rolled around it came time to before out for dinner. 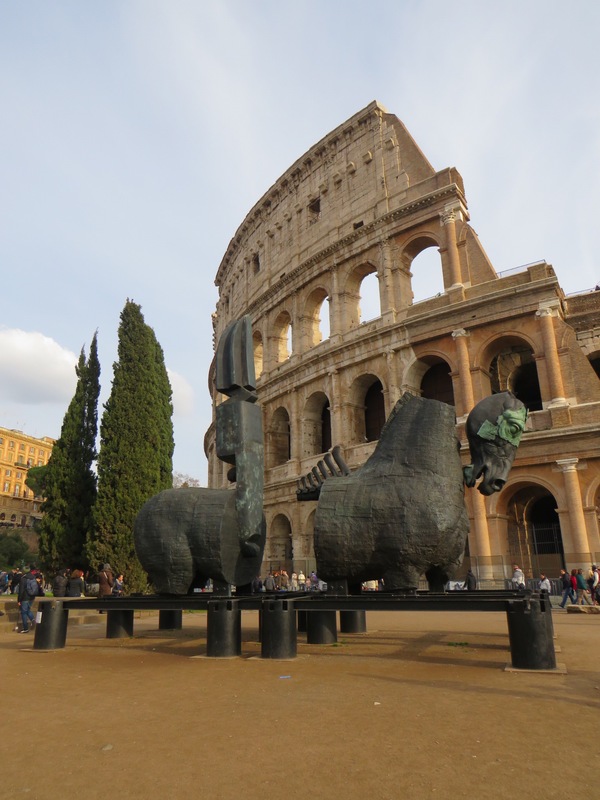 Via de Colosea is close to the colosseum and there are loads of restaurants to choose from. They are all around the same price. Seeing as all the meals prior to this had been rather cheap here was on offer to maybe splurge a little bit. Bruschetta for starter is was. We got a combo of three different ones and each was as tasty as they next. Then for mains I chose a creamy salmon pasta and himself had pizza. I reckon our main meal conversation consisted of ‘mmm’. It would have been a shame to walk away without a desert and at that stage one was enough so we went for ice cream with chocolate and nuts – almost like a Nutella flavour. The entire meal including 2 glasses of wine was under €65. Not bad at all for two, starters, two mains a desert and drinks. 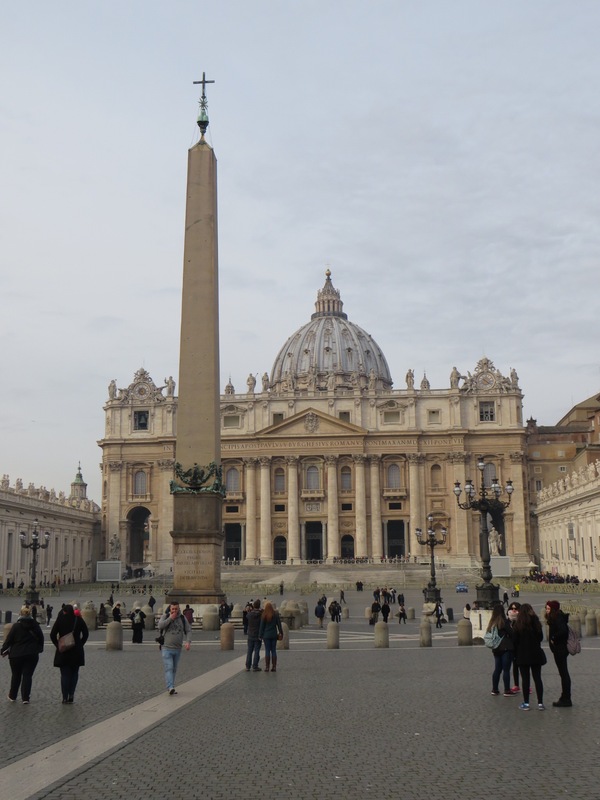 St.Peters Basilica (The Vatican): my Roman adventure kicked off here and I know an Irish priest that loves in Rome so Fr.Hugh kindly showed us around. He knew so much history about the entire place it was absolutely fascinating. It really blew my mind away. 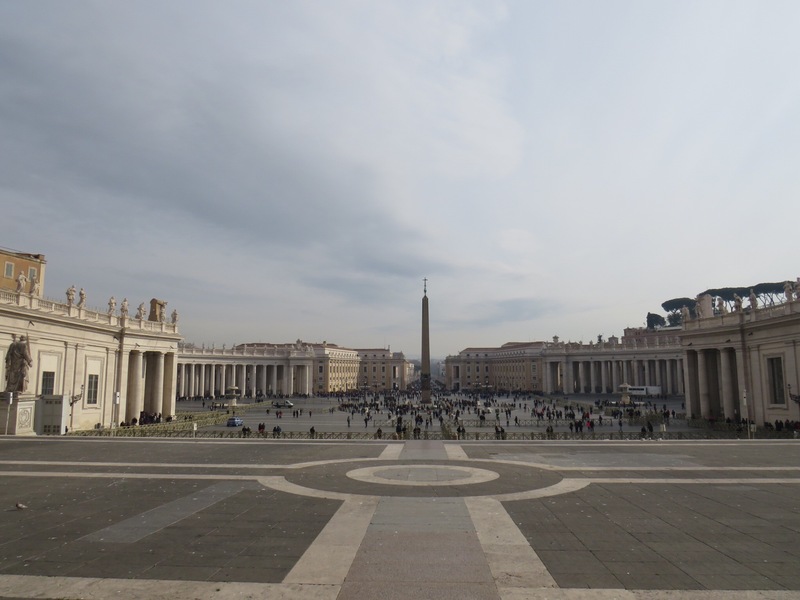 You can see where St. Peter’s remains lie as well as our resent Pope John Paul II. The art work, the history just everything. He also got us into Vatican City where the Pope himself resides. 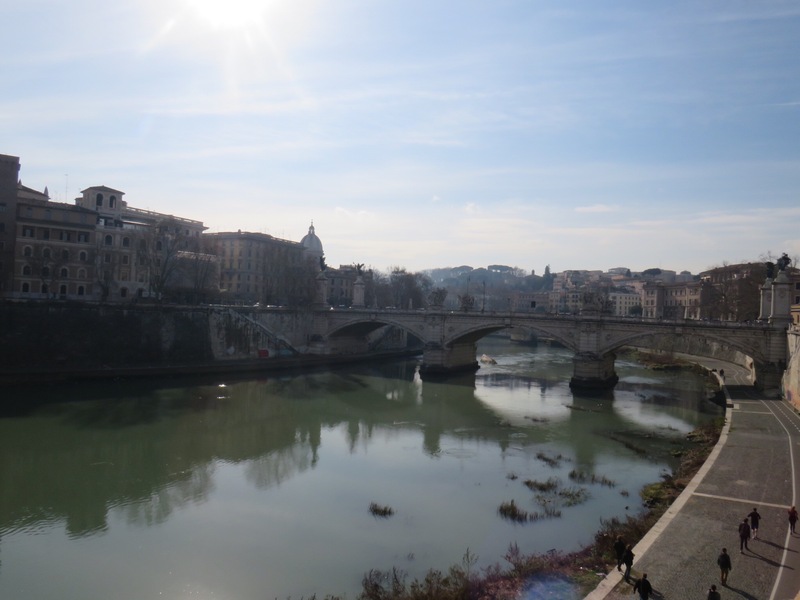 Vatican City: is its own country with its own car registration, shops and stunning gardens. While Rome is rather noisy and busy, Vatican City if tranquil and serene. 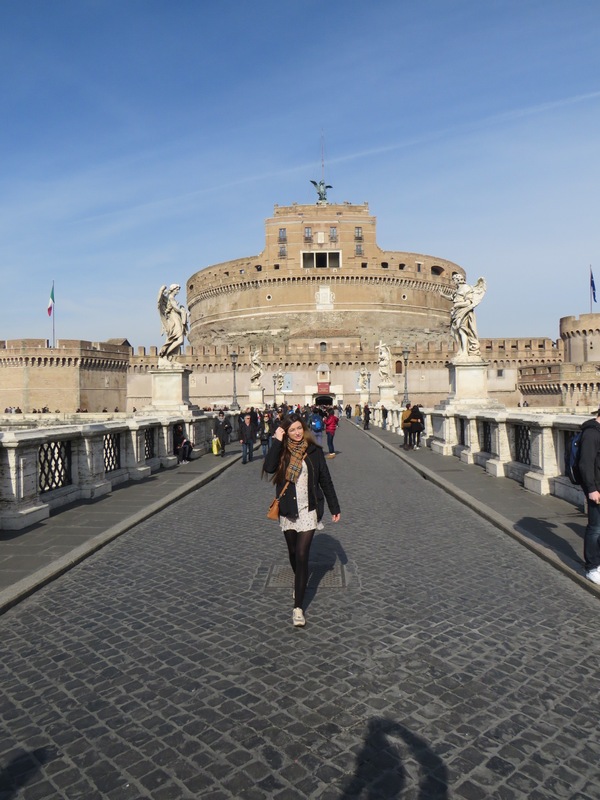 Castel S. Angelo: This is walking distance from the Vatican and it is circular offering views of Rome. You can pay to go on top but don’t forget a camera. Outside the walls there are amazing musicians to listen to while looking over the River Tiber (the third longest river in Italy). 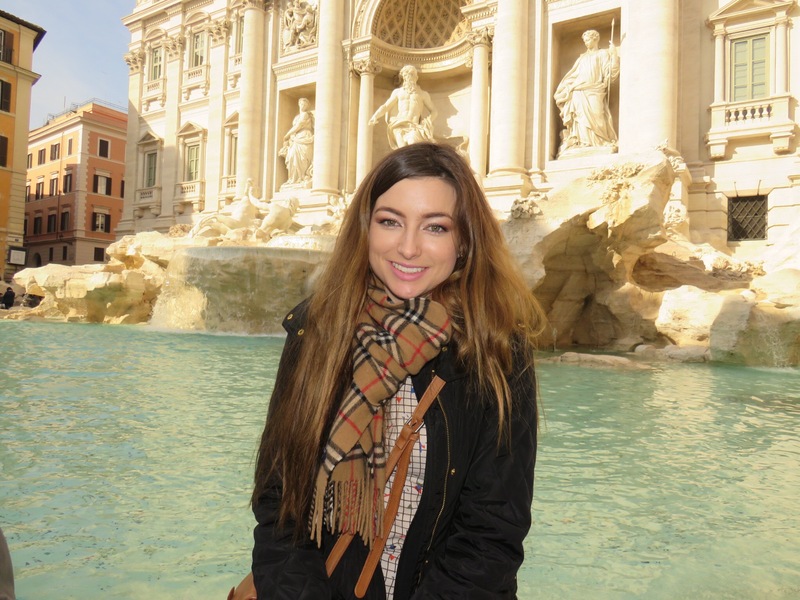 Trevi Fountain (Piazza Ditrevi): I’m sure you’ve seen photos and not to mention mine below but Wow this masterpiece is like nothing I’ve ever seen. It’s stunning white facade bouncing off the clear blue water. My photos almost look photoshopped! It’s truly magnificent but expect huge crowds! 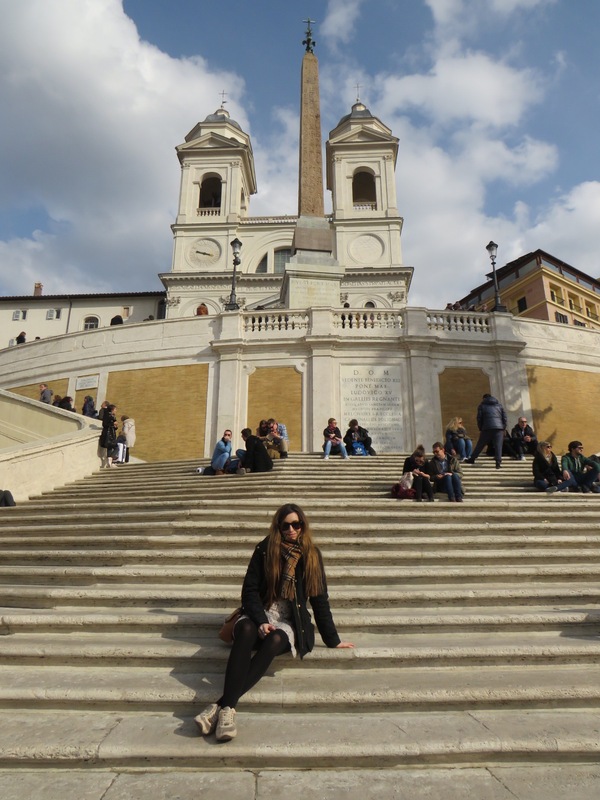 Spanish Steps (Piazza Di Spagna): the steps are walking distance from the fountain and I managed to arrive at the top of them but it’s when you venture down below that you see them in all their glory. Take a seat and soak up the winter sun (it was warm to me)! Pantheon: Rome just blew my mind with all its architectural masterpieces. How people back in the day built such vast buildings is beyond me. The pantheon is something to behold with embers burning as you make your way up the steps. It’s monstrous in size and so powerful looking. The Colloseum (Colosseo): We have all seen the photos and not to mention he movie the Gladiator (one of my favourites) but this place in real life is just mind blowing. Now we did hear that quote a significant part of it was destroyed in an earthquake but people seem to have question marks over this.neither way it still looks incredible and in its hay day it held 50000 people. Entry was free but people say in there area of class. The upper class stayed on later in the evening to dine. 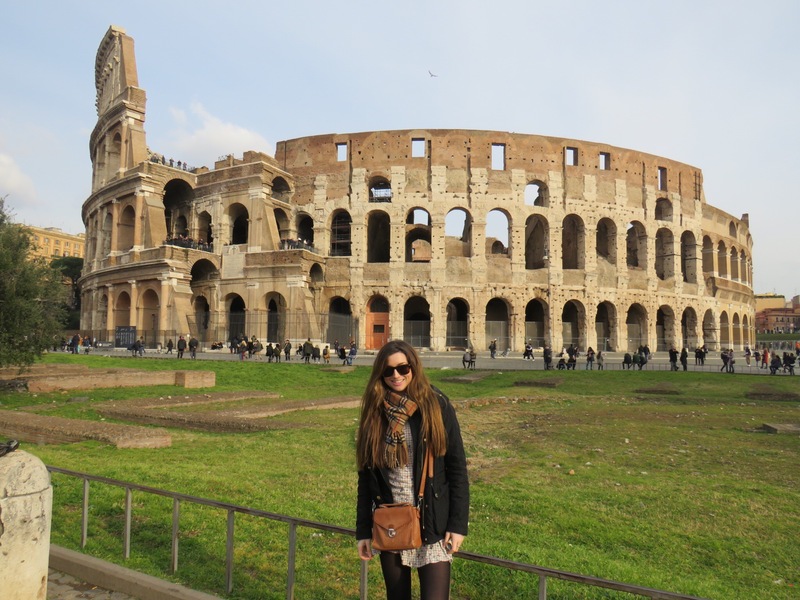 They say upto 60,000 people and 12,000 animals died in the Colloseum. Bus Tour: the hop on hop off tours are the best way to see all of Rome. City Roma cost €16 each and stopped at all the major locations. But these buses weren’t as plentiful as the red ones but still did the job! All in all an amazing place!